The Protestant Church has been present in Nepal since 1870 where it has played a major role in charity work. 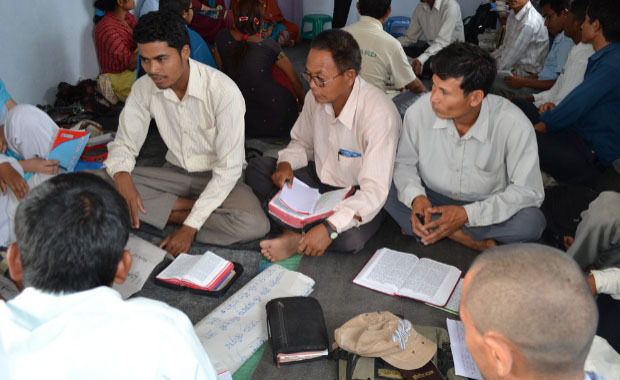 The Church’s leaders wrote to British and Scottish ministers to ask them to raise this matter with Nepali authorities to ensure freedom of religion in the country. Kathmandu (AsiaNews) - The Church of Scotland is concerned that Hindu groups might succeed in restoring Hinduism as Nepal’s state religion, thus endangering Christian activities in the country. For the Church, this directly contravenes the United Nations Universal Declaration of Human Rights and International Convention on Civil and Political Rights (ICCPR) – despite Nepal agreeing to it as far back as 1991. The Moderator of the General Assembly wrote to British Foreign Secretary Philip Hammond, and Scottish Minister for International Development Humza Yousaf to raise the matter. “The growing threat to religious freedom around the world is, I believe, one of the most pressing issues of our time,” said Rt Rev Dr Angus Morrison, moderator of the Church’s general assembly. “On behalf of our partners and friends in Nepal, I therefore request that you raise this matter with the Government of Nepal, and thus help to ensure that, in its proper sense, freedom of religion for all people in Nepal is enshrined in the country's new constitution.". The Church of Scotland has a long history of involvement in Nepal, beginning in 1870 when a mission station was founded in Kalimpong, in the frontier territory between India, Nepal, Tibet and Bhutan. There has been continued support to Nepal from the United Mission to Nepal (UMN) since 1954. Nepal became a secular state in 2007 after 240 years of a Hindu monarchy. According to its interim constitution, approved under UN supervision, proselytising is banned, but citizens are allowed to express their faith, including through charitable and missionary activities. For Beijing, Scottish independence "threatens unity and stability"